GREENWOOD VILLAGE, Colo. (AP) — Grumbling and jeers met the request for a moment of silence for the 17 people killed last week in the Florida school shooting. 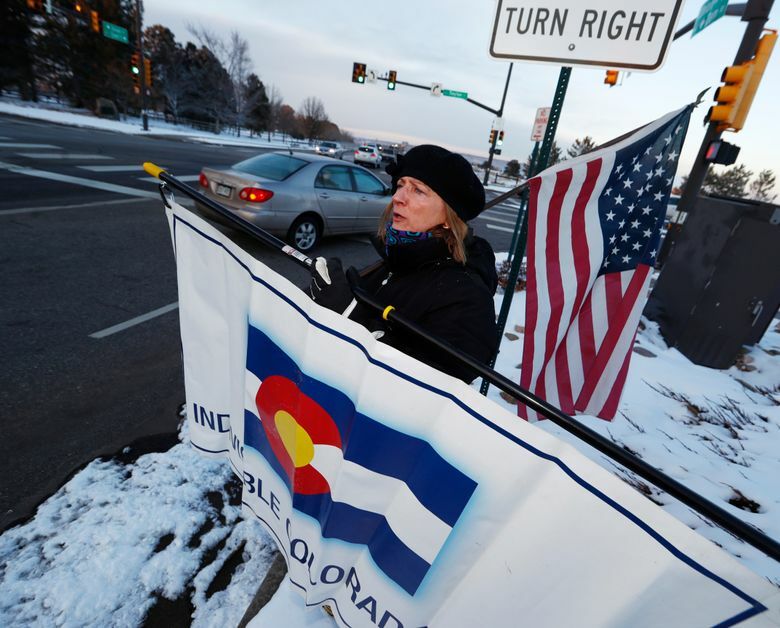 Coffman’s swing district in the Denver suburbs is all too familiar with mass shootings. 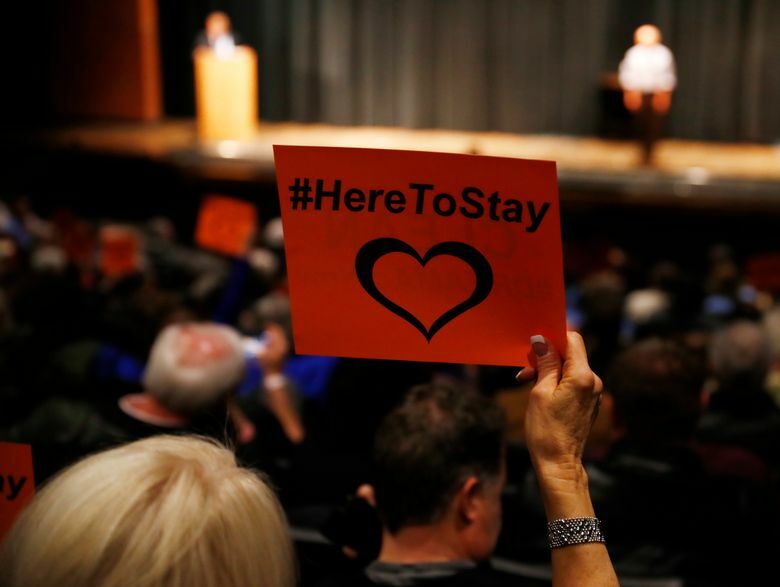 A few miles to the northeast of the high school that hosted Tuesday’s town hall is the location of the Aurora theater massacre, where 12 people were shot to death in 2012. A few miles to the southwest of the town hall site, just across the district line, is Columbine High School, the site of the 1999 school shooting that killed 13. In a district that voted for Democrats Barack Obama in 2012 and Hillary Clinton in 2016, Coffman has been a perennial political target for Democrats. He is in his fifth term, but Democrats have not made gun control a centerpiece of their campaigns for votes though the electorate is evenly split between Democrats, Republicans and those unaffiliated. That could change this year. 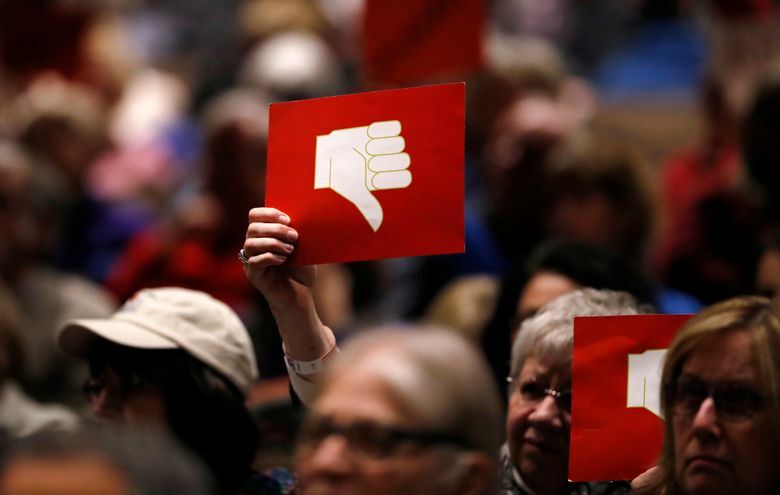 The raw emotions at Coffman’s town hall shows how guns have become a volatile issue in an already hyper-charged midterm election, stoking passions that will be difficult for Democrats to contain, and difficult for embattled Republicans like Coffman to defend against. 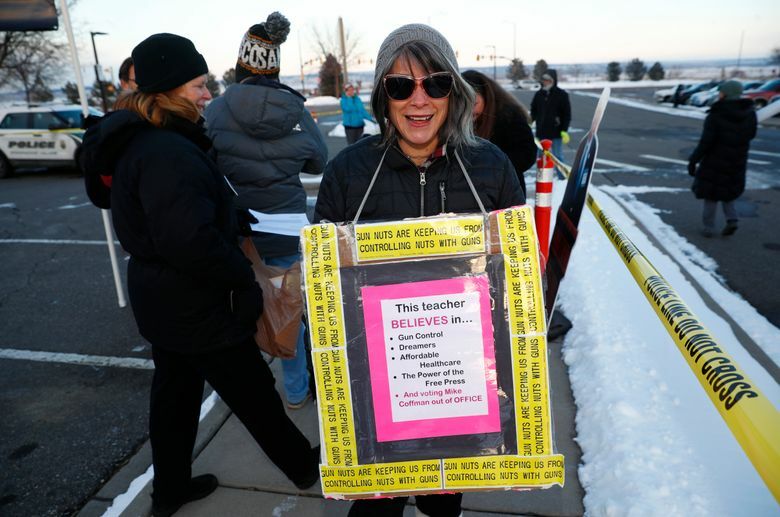 Patti Seno, 53, broke into tears as she recounted how her husband, a firefighter, was on the scene of the Columbine shooting and an attack at a nearby school in 2013 that killed one student. Her son had planned to see a midnight showing of the new Batman movie the night that the gunman attacked the audience in Aurora. Yet, she told Coffman, she hadn’t spoken out until watching students from Marjory Stoneman Douglas High in Parkland, Florida, campaign for new gun laws. 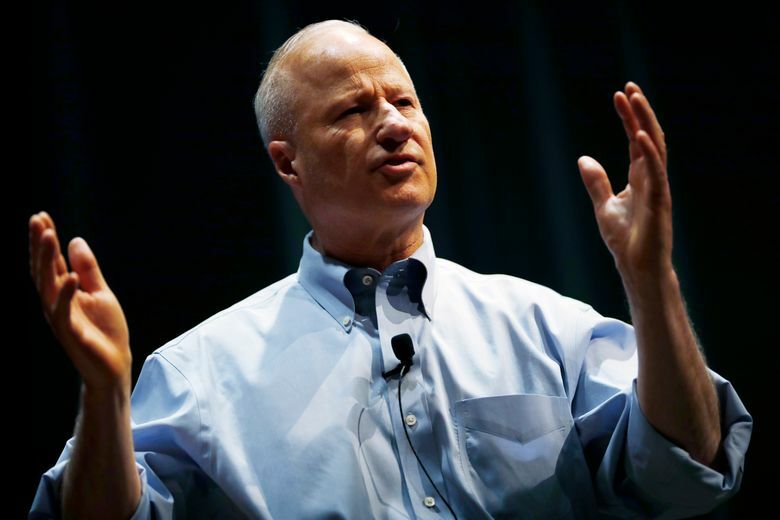 Coffman has received $34,000 in contributions from the National Rifle Association, more than any other Colorado member of Congress. Gun control activists, sometimes accompanied by family members of those killed in Aurora, have pushed him for years to back more restrictions. Yet even after the Aurora shooting in 2012, Democrats did not mention gun control in their campaign against Coffman. It barely came up in 2014, either, after two Democratic state legislators were recalled for passing new state gun restrictions. Still, two days after the Florida shooting, a potential Democratic challenger to Coffman, Jason Crow — like Coffman, a combat veteran — demanded that Coffman return his NRA donations. That cheered Laura Chapin, a Democratic strategist who’s been active in gun issues. 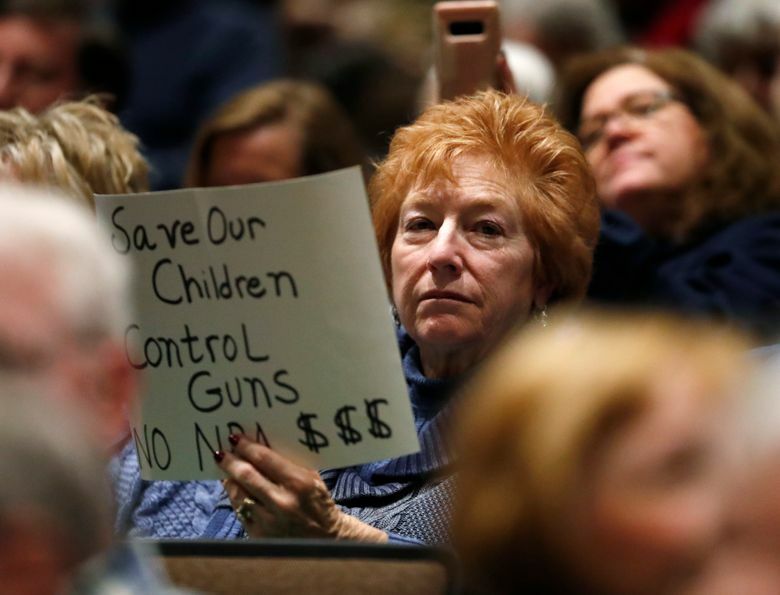 Sharp questions about guns dominated the hourlong town hall. 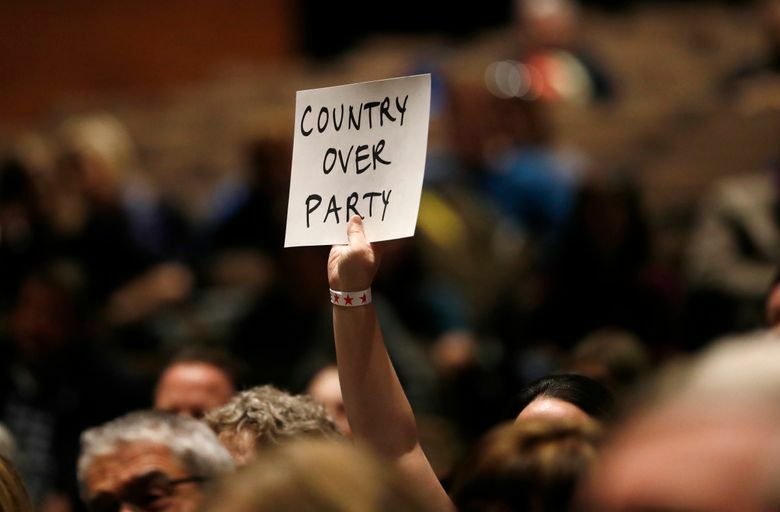 Coffman said he was willing to discuss “reasonable restrictions within the parameters of the Second Amendment,” a statement that drew fierce boos from the crowd. He repeatedly declined to back an assault-weapons ban but said he’d consider “red flag” laws that would allow the temporary confiscation of firearms from those judged to be a threat to themselves or others. He spent much of his time defending some of his previous votes, including for a bill last year to require states to accept concealed-carry permits from other, less-regulated states and another for a bill rolling back an Obama administration rule confiscating guns from people judged not competent enough to manage their Social Security benefits. 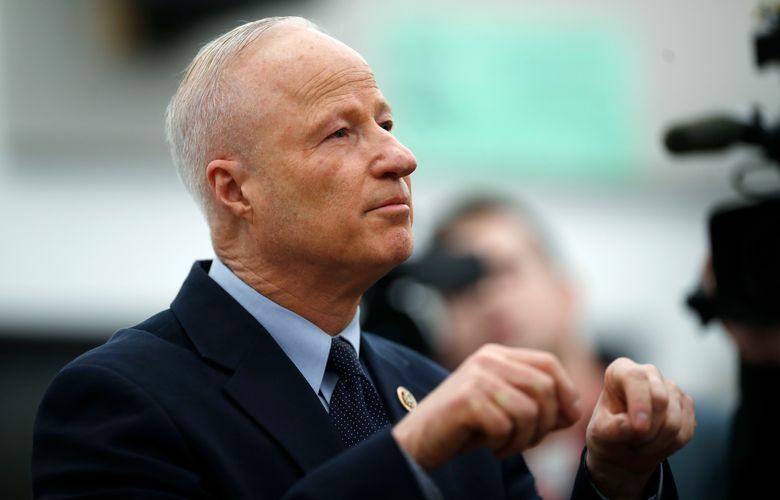 Coffman contended it was a civil rights issue and noted the American Civil Liberties Union and disability rights groups supported the rollback, a statement that also drew hearty boos. 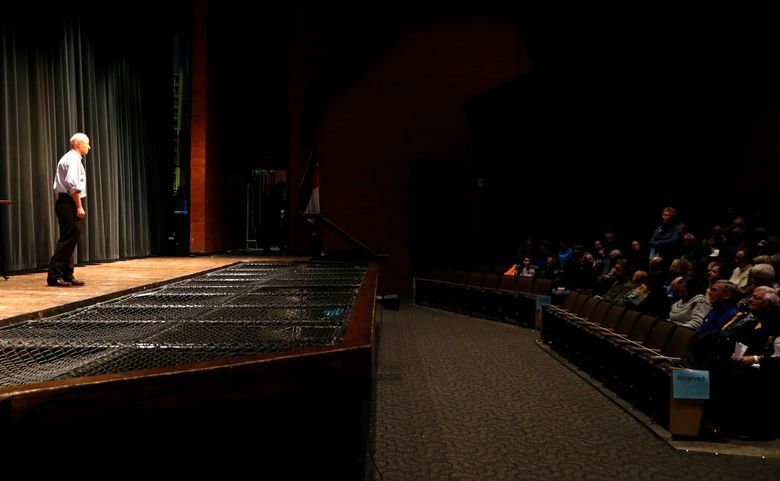 “I cannot understand how somebody who represented the district that has the Aurora theater in it can say this is a bad idea,” Alex Tillman, 48, who works in risk management, told Coffman. 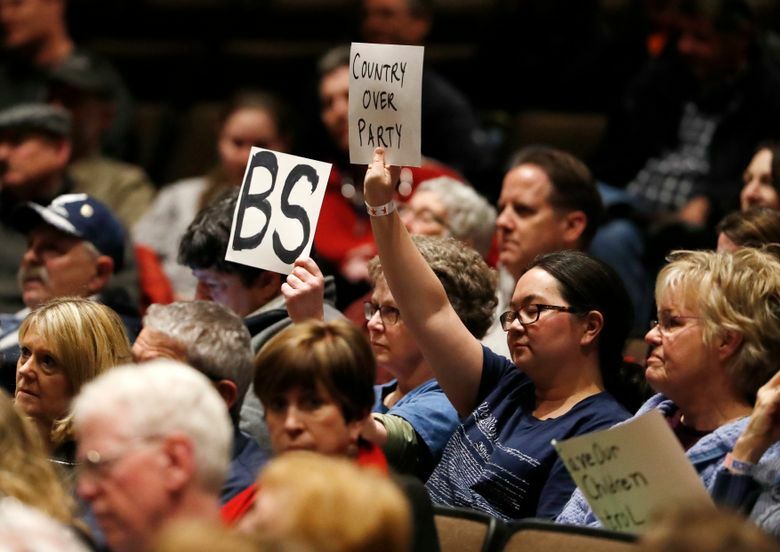 Coffman said was going to meet with school safety and law enforcement officials and suggested the government beef up school security — another statement that infuriated the audience. 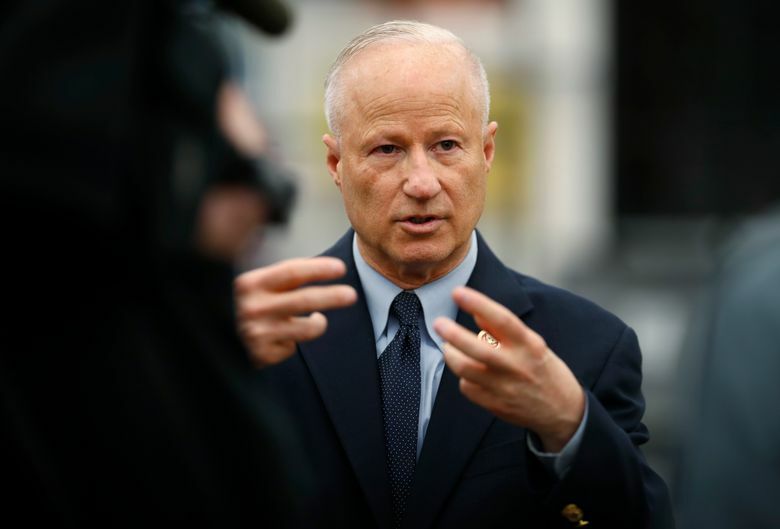 Asked what he would do if he found his personal principles conflicting with the desires of his constituents, Coffman drew more boos when he said he thought they matched pretty well. This story has been corrected to reflect that 12 were killed in the Aurora theater shooting and 13 at Columbine.